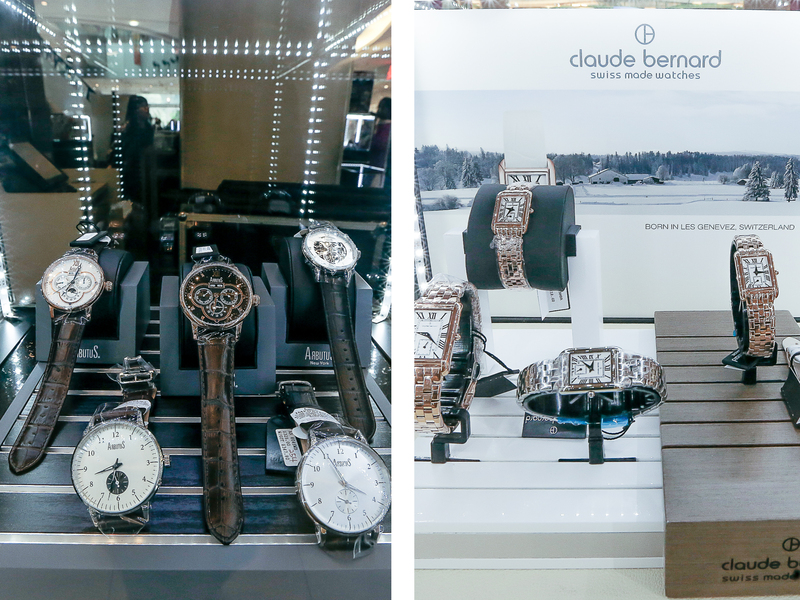 One of my fav watch brands, Claude Bernard, celebrated SG50 recently by having a Watch Artisans Exhibition. 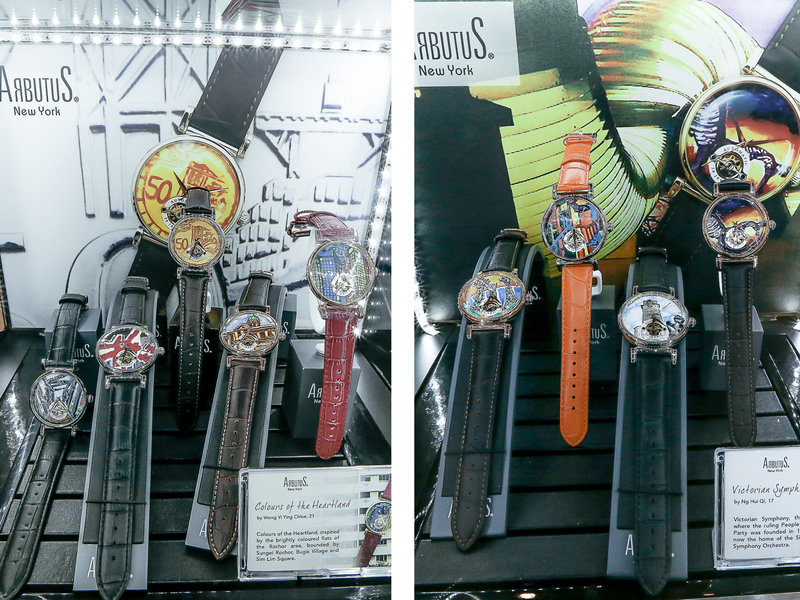 Held together with sister brand Arbutus, the exhibition featured handpainted timepiece on a 44mm watchface, by local artisans from The Little Arts Academy. 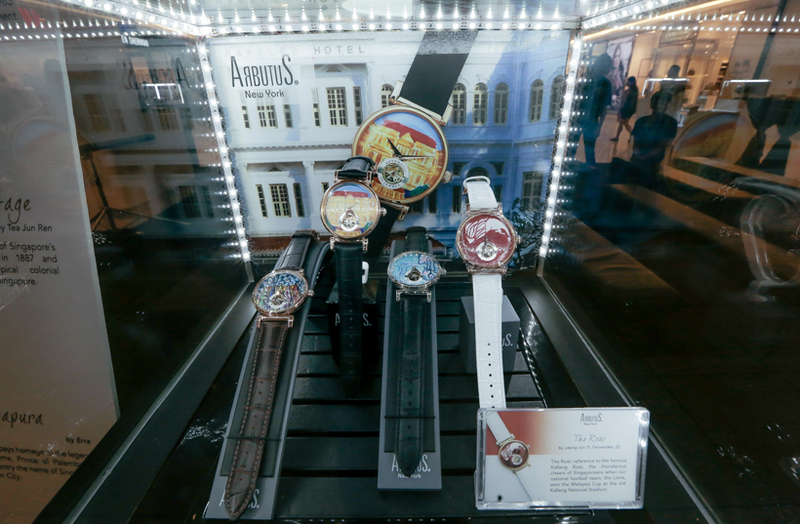 I especially like the ones above for their level of detail, and also the subtle symbolism of those paintings for everyday Singaporeans. 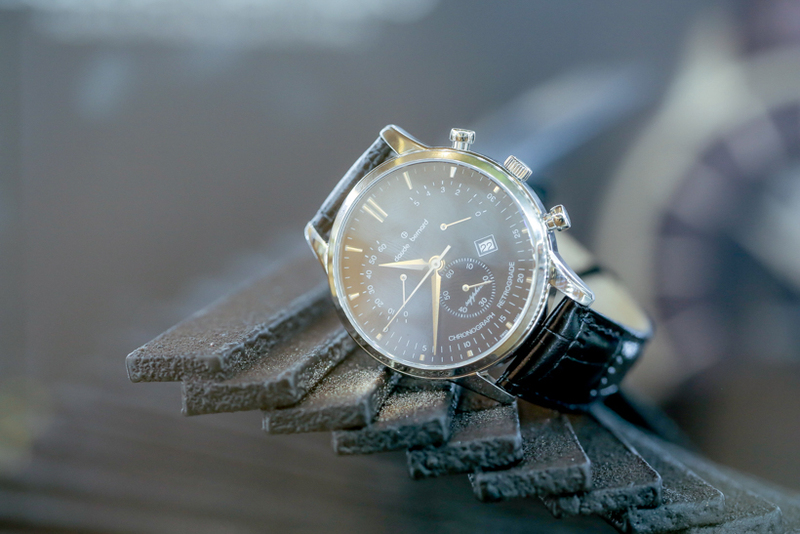 The watches were retailing at $1800, and all proceeds went towards funding The Little Arts Academy to nurture more talented youths from economically disadvantaged families. 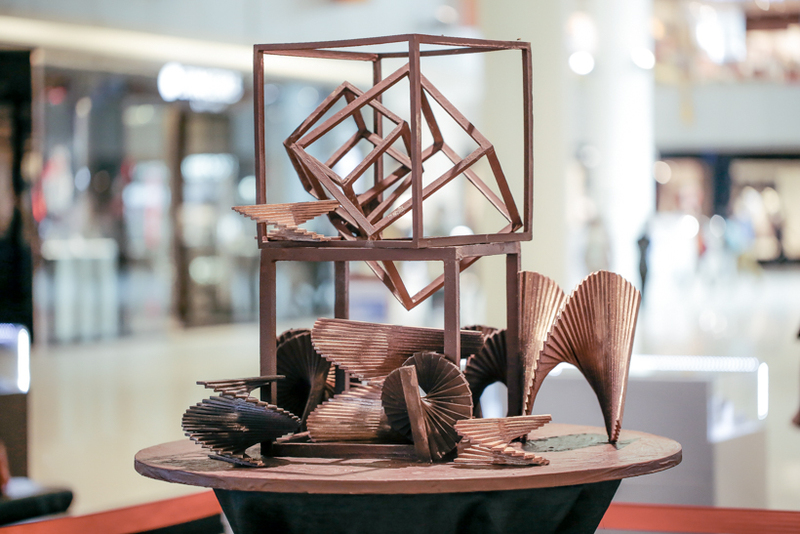 The highlight of the event were also these edible chocolate sculptures created by Chef Janice Wong, of the famed 2am dessert bar. From my previous post, I had the honor of learning pastisserie from Chef Janice herself, and this woman is really as much as an artisan as she is towards making sweet treats. 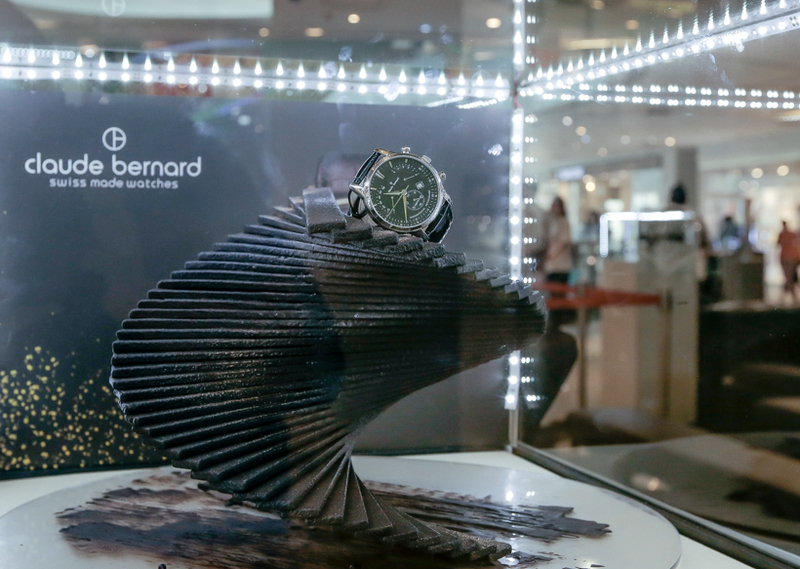 She is extremely dedicated to her craft, and for this exhibition she came up with a sculpture titled Time is Movement, made from 76% Equateur dark chocolate and then painted a rose gold finishing. Seriously looks really amazing - I have no idea how she made square frames out from just chocolate in Singapore's climate. 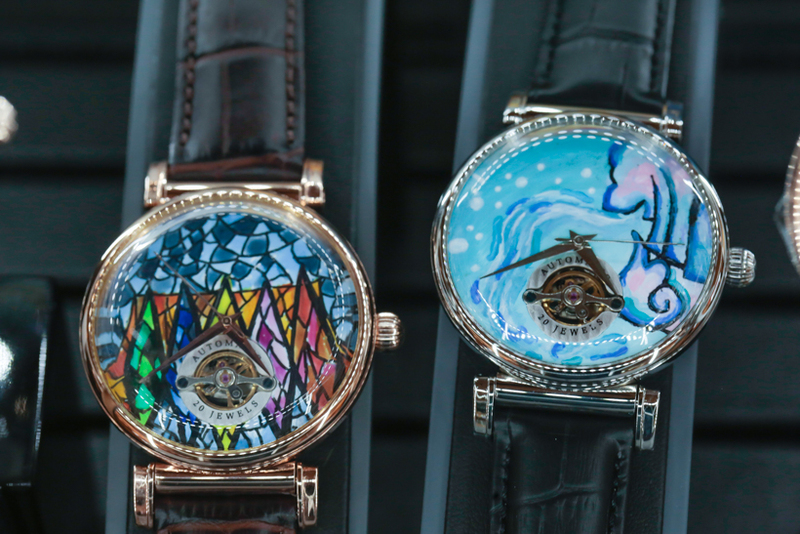 It's not hard to draw parallels between watchmaking and chocolate crafting - not when both requires immense amount of skill, craft, precision and passion. And happy birthday, Singapore!